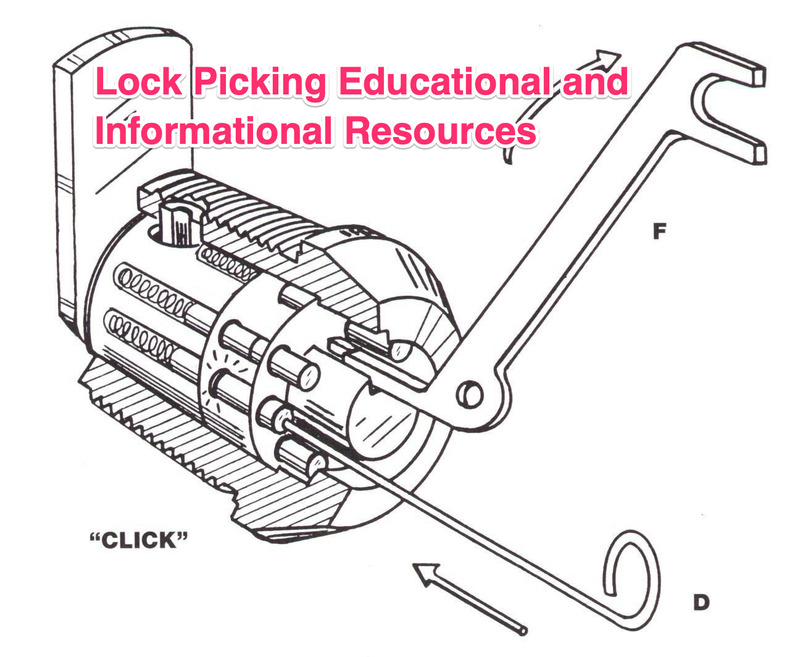 All lock picking content is for educational and informational use only. Underwriters Laboratories defines the different types of locks for which the specification applies. ∑ Other methods that involve the use of small hand-tools. ∑ Parts must maintain a high degree of tolerance and uniformity. This is especially important with regard to bittings. Locks tested under UL 437 must be constructed of brass, bronze, stainless steel, or equivalent corrosion-resistant material, or shall have a protective finish that meets salt spray tests. There are a number of common standards relating to locks and security containers, including requirements relating to nonmetallic parts, corrosion protection, and salt spray. These are described in UL 768. Door locks and cylinders must be capable of at least 1000 key changes. Security containers must achieve significantly higher security levels, providing at least 1,000,000 differs for any design. Two-key locks require a minimum of 64 guard key changes, and at least 15,000 customer key changes for any design. ∑ The tolerance between plug and shell in a pin tumbler lock must be less than one cut depth. A lock having a changeable core or field-changeable key design shall operate as intended after each of 50 changes of the core or key. Attack resistance tests encompass setup requirements, use of specified tools, timing, and entry methods. A number of tests have been defined to ascertain the attack resistance of a lock. UL 437 requires that a device cannot be opened or compromised as a result of the application or use of tools and techniques set forth in the standard, and summarized here. Specific protocols have been devised with respect to mounting of samples to be tested. Door locks must be installed in accordance with the lock manufacturer’s instructions, in a 1-1/2î (38.1 mm) solid hardwood door of average size. The door is mounted in a 1-1/4î (38.1 mm) thick wood frame and reinforced as if actually installed. Door locks that are designed specifically for a certain door construction are to be tested in that mode. ∑ Utilize electrically operated vibrating needles. Net times in minutes are specified for each type of test, and the lock upon which the procedure is to be performed. The sequence is not relevant, nor the number of methods to be applied. Samples may be tested for several techniques, or a new specimen may be utilized for each procedure. Below are the results in time it takes to work to break a lock. There are eight methods of forced and direct entry that are defined within the Standard: picking, impressioning, forcing, drilling, sawing, prying, pulling, and driving. These have been previously described in Chapters 29-32. Picking tools are employed in an attempt to align the active components, including tumblers, levers, wheels, or pins, in order to open the lock. Methods of impressioning, as defined in Chapter 31, are employed in an attempt to produce working keys. ∑ On the exposed portions of the lock assembly. Drilling requires that a drill and one or more bits are utilized to attack the plug, exposed lock body, and other parts in an attempt to compromise critical components to effect an opening. A saw is employed in an effort to cut, compromise, remove, and open critical components, including the plug, body of the cylinder, and lock bolt. Tools are utilized in an attempt to pry the bolt out of engagement with the strike opening within a door lock assembly. Techniques of pulling are directed at critical locking components including the plug, body, bolt, or other areas in order to compromise and open the device. Driving is the opposite of pulling. Tools are utilized in an attempt to drive or force the plug, body of the lock, lock bolt, or other part to allow bypass of the mechanism.